In under a week, people across the United States will be celebrating Thanksgiving — the holiday that excuses eating enough mashed potatoes to fill a swimming pool. Thankfully, health-conscious Plant City residents can kick off Turkey Day the right way by participating in the Plant City Family YMCA’s 5K Turkey Trot. The Thursday, Nov. 26, race will begin at 7 a.m. at the YMCA. Participants will start and end in the YMCA parking lot, and will run through the Walden Lake community. The race will end at 9 a.m., but most participants will finish the race, which is roughly 3.1 miles, in about an hour. This is the fourth year that the YMCA has hosted the race and the second year that it has been held on Thanksgiving Day. Last year, the YMCA had about 200 participants. This year, the organization is expecting 250 people to run. Many are from Plant City, but runners also bring family members from as a far as the Midwest and Canada. JJ Myers, membership director of Plant City’s YMCA, will be leading the Nov. 26 race. Six trophies will be given out to the first three men and first three women who finish the race, and medallions will be given out based on age group and gender. 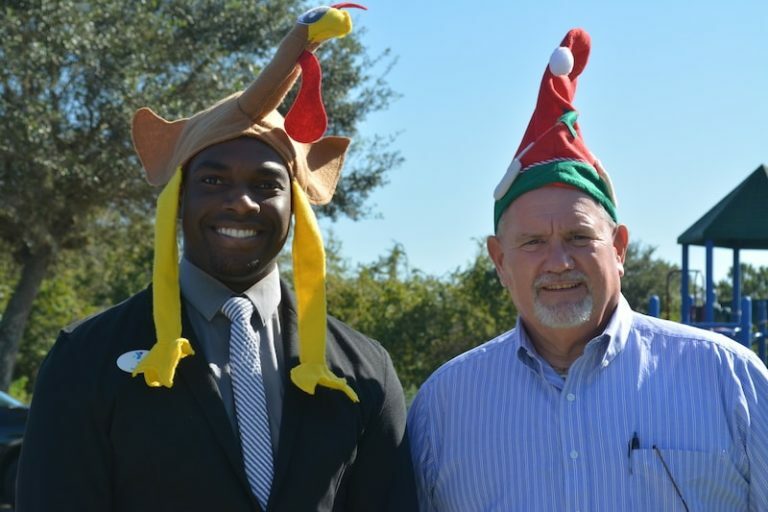 Besides allowing family members to spend quality time together and promoting a healthy lifestyle, all proceeds raised through the Turkey Trot 5K will go back into Plant City’s YMCA. After raising about $3,000 last year, the YMCA hopes to raise $5,000 from this year’s race. Many of the proceeds from the Turkey Trot will go toward the YMCA’s summer camp for children, which is held from the end of the school year until August. Kids who attend YMCA summer camp programs receive swimming lessons and get exercise. Summer campers also receive breakfast, a snack and lunch. The YMCA, Myers said, is involved in the achievement gap. Each year, low-income students have a gap in achieved academic skills from middle and upper-class youth. By incorporating core curriculum during the summer, the YMCA is able to keep students on track and ready for the next school year. “Races like this and other things the Y does are working to lower those statistics,” Pfeffer said. For race participants who want to get a work out in while supporting the community, the YMCA will be open until 1 p.m. on Thanksgiving Day. Additionally, if participants take classes at the YMCA on Thanksgiving Day, they will be entered into a contest to win prizes, such as T-shirts and other gear. “A lot of our folks just like to support the cause,” Myers said. When: 7 to 9 a.m. Thursday, Nov. 26; registration begins at 5:30 a.m. Cost: $35 per person for non-YMCA members; $30 per person for YMCA members; cost will go up on race day. Don’t wait until the new year to start working on your fitness resolution. In November and December, new members will receive a $25 YMCA gift certificate. Financial assistance is available based on need. Kids can meet Santa Saturday, Dec. 5, at the YMCA’s Breakfast with Santa event. Beginning at 9 a.m. there will be a pancakes, crafts and games, as well as pictures with Santa. The cost is $4.